Lagos 7 June 2017 - Nigeria’s largest city has become a sought-after destination for conferences and international gatherings, especially as a hub for West Africa. The West African chapter of Africa’s largest real estate event, organised by API Events will be moving from Accra, to the newly expanded Landmark Event Centre in Victoria Island, Lagos in November 2017. Medic West Africa, the largest business platform for the healthcare industry will also now be hosted at the Landmark Event Centre. The newly extended Landmark Centre in Victoria Island one of the largest event venues in Lagos has been able to attract larger conferences and events, helped by its increased capacity. The secure facility with large parking facilities has been an added bonus for conference organisers. Emeka Njoku, the Business Development Manager at Landmark Africa said, "The extension of the Landmark Event Centre in Victoria Island Lagos, increased the attractiveness of Lagos as a go-to destination for large events and conferences". The Landmark Event Centre has always been a very popular venue for social functions, especially given its very scenic location. Other attractions of the Landmark Village include the popular Hard Rock, Shiro Japanese restaurant and Spur restaurant. 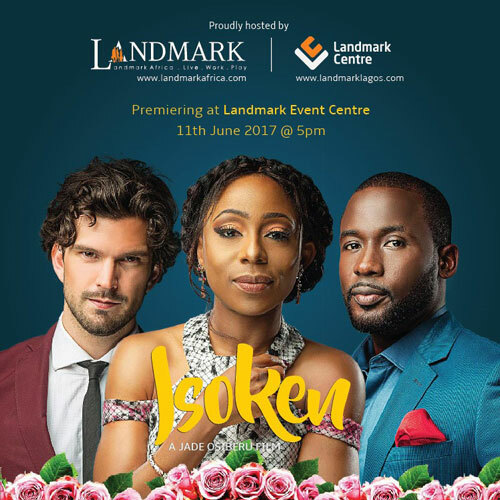 Jade Osiberu’s long anticipated upcoming movie Isoken will premiere at the Landmark Event Centre on Sunday, 11th June. The director chose the Landmark Event Centre because she was looking for a location that offered security and the required privacy where full control over all facilities like parking could be carefully managed. Jade Osiberu said "The Landmark Event Centre in the Landmark Village offers a secure and fresh location, with a beautiful background for my film premiere". The expansion of the 38,000 sqm Landmark Village site is in full swing and will include a multi-story parking, residential apartments and a 5 star Marriot Hotel.